The hockey rink was vandalized this week-end. 1) The most (in)famous graffiti vandalism of the last few decades was one some Tufts students spray painted J-U-M-B-O-S on the columns of Chapin Hall. If memory serves, they were caught — and forced to pay for the clean up — when the authorities figured out where they had bought the paint (with a credit card!) on their trip to Williams. Does anyone remember the details? Lesson for our current artists: Lose the paint now! 3) What happened at Schow? 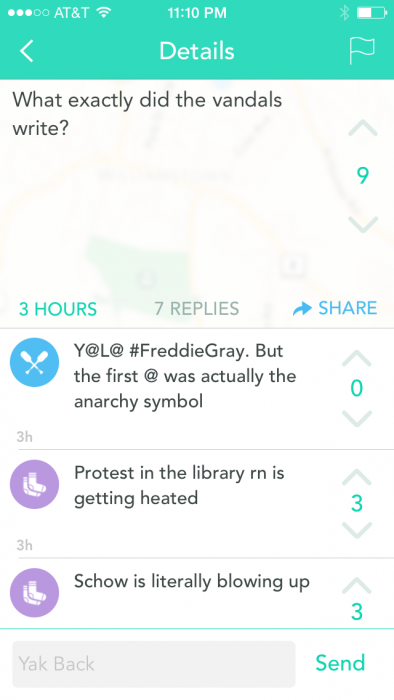 4) Some Yakkers are suggesting that this was directed at the hockey team. I doubt it. Very few of the people who care enough about Freddie Gray to vandalize in his time would ever bother with hockey, or with Williams athletics in general. They needed a big wall in an out-of-the-way (no cameras?) location. 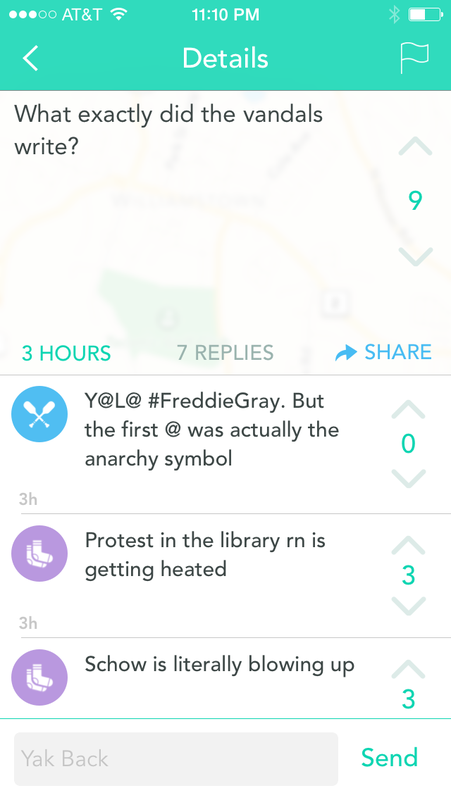 5) Some Yakkers are complaining that the College ought to send out an all-campus e-mail. I disagree. If you want less vandalism, pay less attention to what the vandals write. 6) By the way, is the word “vandalism” racist? The Vandals were my peeps! 7) I doubt this controversy will last long enough to deserve an official nickname/category but, if it did, what would readers suggest? 8) Could someone more versed in leftist lingo explain the intended meaning? 9) I doubt this was either a Williams activist or, even less likely, someone trying to make Williams activists look bad. More likely is a local teenager. Is Buxton still a school for rich but troubled teenagers kicked out of places like Milton? Look there first. Don’t be gulled! The existence of this graffiti at first impression smelled like a hoax and continues to stink more so pursuant to a perusal of the exterior of the hockey rink showing nothing. EphBlog is powered by WordPress and delivered to you in 0.816 seconds using 40 queries..